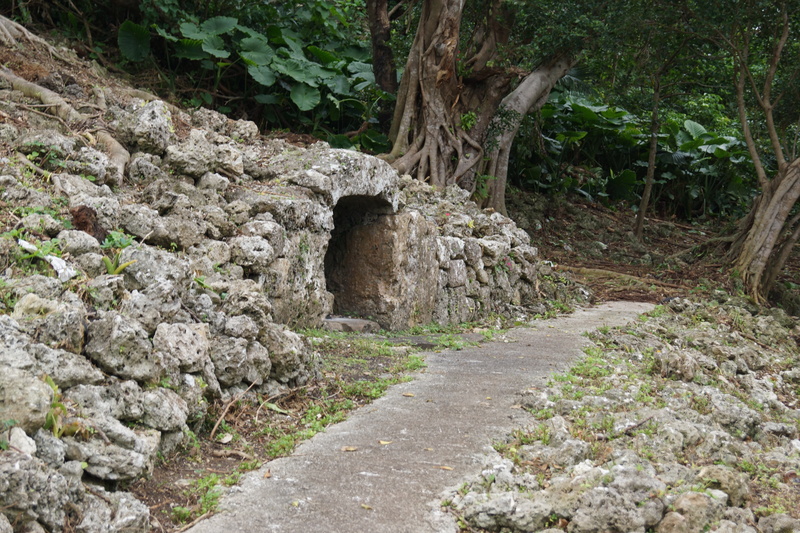 Ozato Castle Ruins or Shimashi Ozato Gusuku is located in Nanjo in Southern Okinawa. 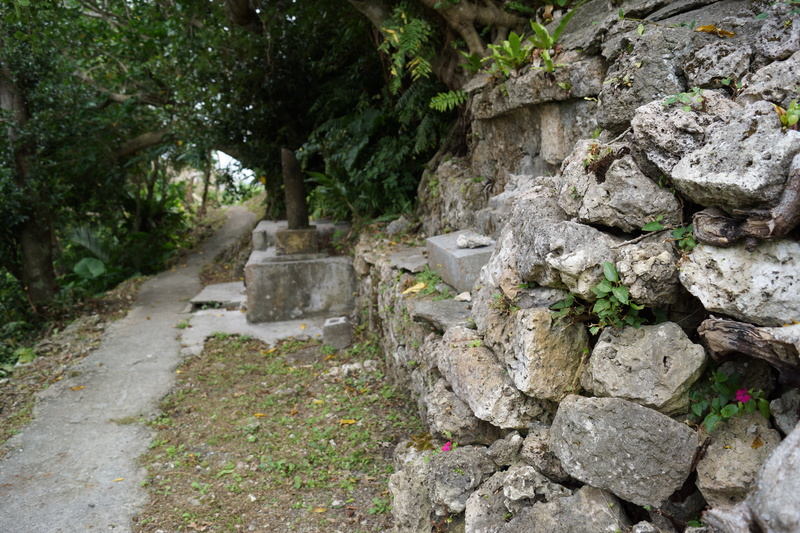 Although the castle is clearly marked with signs it is not one that is often visited as it does not end up on many “castle in Okinawa” lists. The site itself is in the middle of a beautiful little neighborhood which looks as though it was somehow shielded from the battle which happened on this part of the island (whether or not that is actually true I am not sure but that’s the feel you get as you drive through). One you arrive at the castle site you will see an open field and can tell that parts of what seems to be the castle’s lowest enclosure has been made into a park. Unfortunately many of the “park” elements, such as restrooms, are in disrepair but to my delight the castle site itself is in wonderful shape. Although this castle doesn’t seem to be on anyone’s “things to see” it doesn’t lack any of the characteristics that you might come to expect from any other castle on the island. 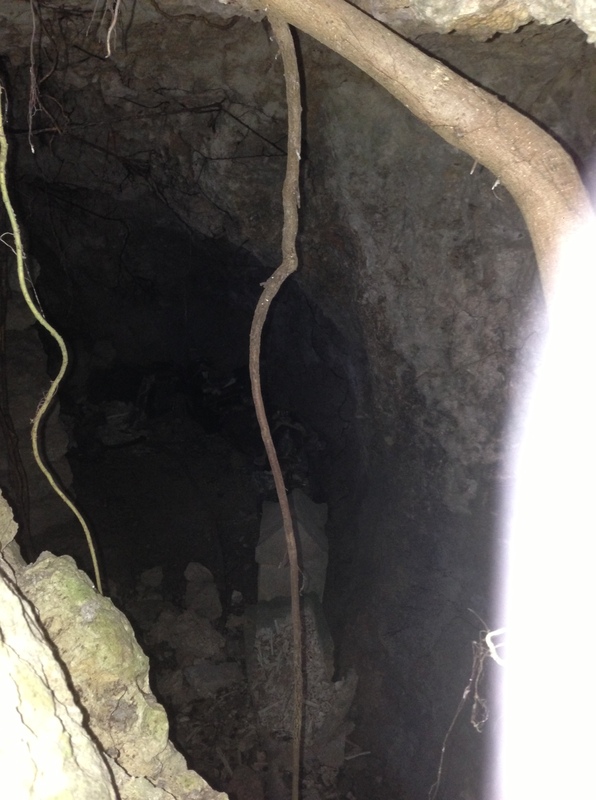 There are clearly enclosures, utaki and other worship sites throughout the site. 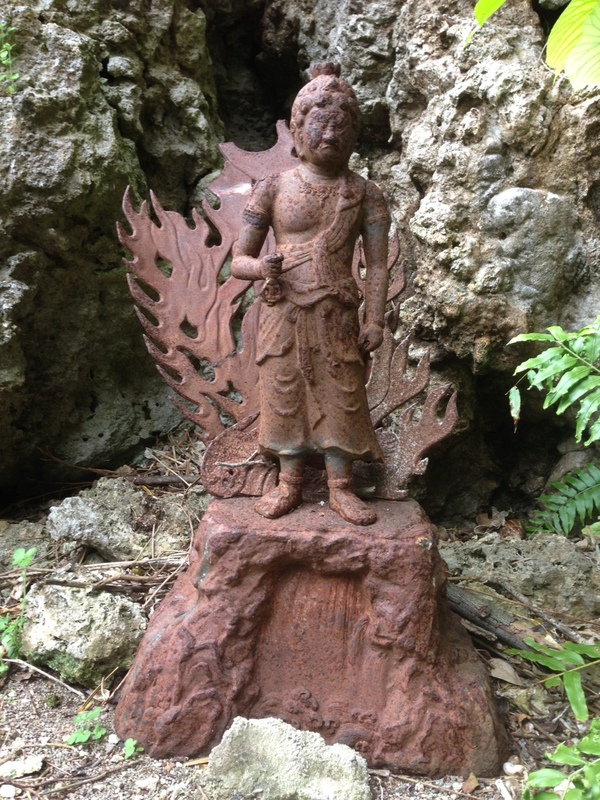 There is also what looks to be a tomb and even a very interesting statue which was at the bottom of a very long path down the cliff side. 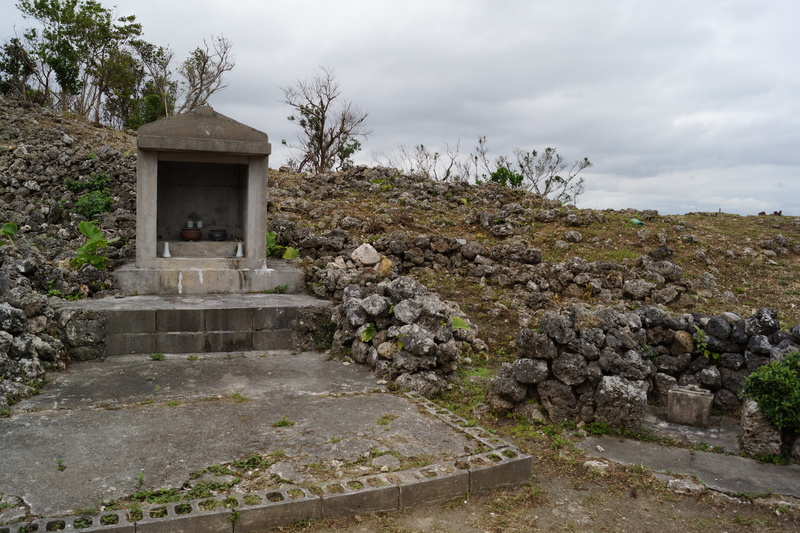 If you’re in the southern part of Okinawa this is a great place to visit for the entire family. Whether you want to enjoy walking along some of the paths on the site, have a great view of the surrounding city or just enjoy some time outside on a nice day while inside the walls of a 14th century castle you will find this place enjoyable. Shimashi Ozato Gusuku in the Ozato District. This castle was built by Chief, Shimashi Ozato Aji, who controlled the SHimajiri region around the 14th century. Shimashi Ozato Gusuku’s construction, with it’s back to a cliff and it’s strong walls, skillfully makes use of the natural landscape. 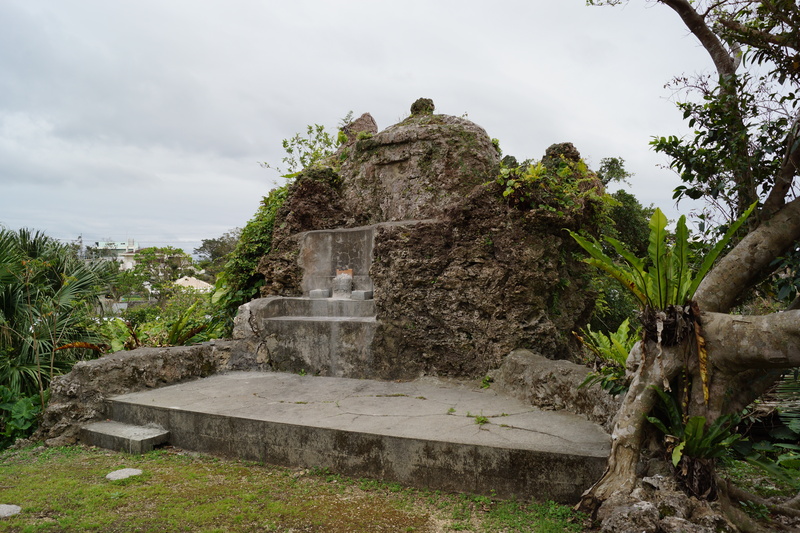 This entry was posted in JVLOG, Travel and tagged Nanjo, Nanjo City, Okinawa, Ozato Castle Ruins, Ryukyu. Bookmark the permalink. Ponta Card: What is it and how do I get one? Bras in Japan: Securely Stow Those Boobies!